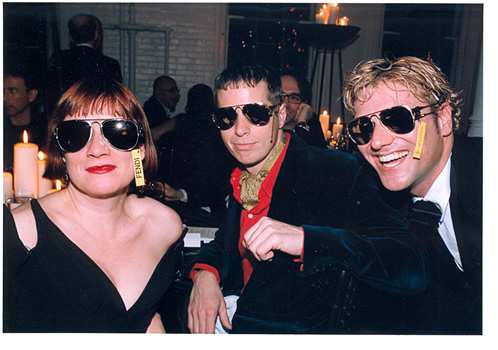 City Opera Thrift Shop’s fashion triumvirate returned again in 2002 to host the red-hot Don Giovanni event. Taking its passionate, Italian theme from Mozart’s seductive 1787 opera Don Giovanni, a new production or City Opera in 2002, the party was held at the Casa Italiana, the Neo-Renaissance villa at Columbia University where Lorenzo da Ponte, Mozart’s librettist, was the first professor of Italian in 1825. In keeping with the benefit’s theme, the evening consisted of “aphrodisiac” cocktails, bargain shopping of discarded objects of desire and dining on an alluring dinner menu at banquet tables glamorously designed by Tiffany’s Creative Director Robert Rufino. In 2001, the same cast of characters reunited to host Screwball-inspired by Benjamin Britten’s adaptation of Henry James’ eerie masterpiece The Turn of the Screw. The Skylight Ballroom in the Puck Building was transformed into a “Victorian Attic” replete with trunks overflowing with vintage couture. This hauntingly madcap evening featured a video installation by Tony Oursler and music by the Peter Duchin Orchestra. The 2000 benefit was entitled Abduction, based on the City Opera’s fall production of Mozart’s The Abduction from the Seraglio. The evening, hosted by the same three co-chairs, was based on a Turkish and exotic theme. 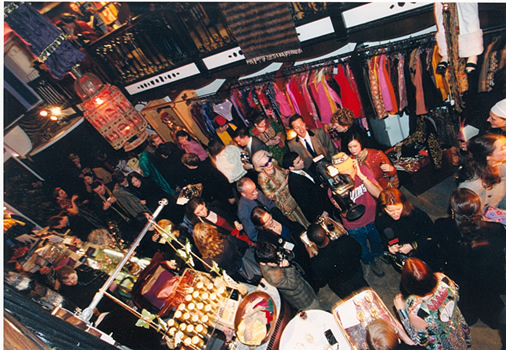 The Thrift Shop was transformed in to a Turkish Bazaar and included a sale of raffle tickets for stellar items such as an original Fendi baguette, a pair of Swarovski opera glasses, a first-class trip to Turkey, a Cora Canary diamond ring, and a “Talisman of Power” necklace by Tony Duquette. Dinner guests were then “abducted” in limousines to a secret location: the studio of Izhar Patkin which was decorated as a middle-eastern harem. The evening included a performance by Lauren Flanigan, an operatic soprano who is a regular with the City Opera. The event was an enormous success and drew some of the most important members of the New York fashion, art and social worlds. 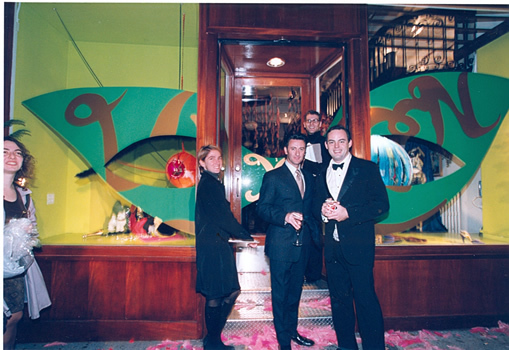 Hamish Bowles, Amy Fine-Collins, and Lorry Newhouse co-chair this fabulous event benefiting the City Opera Thrift Shop. For 1999, Geoffrey Beene, John Galliano, Jean-Paul Gaultier, Muiccia Prada, and Donatella Versace were asked to celebrate City Opera’s production of The Cunning Little Vixen by donating vintage gowns for a tableau vivant entitled V-I-X-E-N. The gowns were worn by New York “personalities” such as Nell Campbell and sold via a silent auction at a cocktail party in the newly renovated thrift shop. 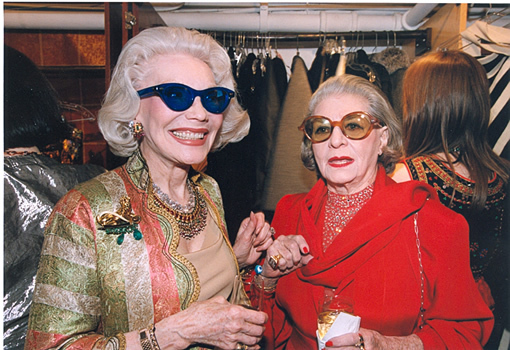 A diverse committee comprised of prominent members from the fashion, music, art, publishing, and interior design communities donated various “vixen-ish” items to the Thrift Shop which were sold in a shopping extravaganza during cocktails the night of the event. The evening culminated with dinner, performances, cordials, and parlor games at the nearby Players Club.